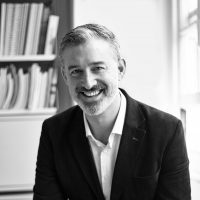 Simon, a married father of two living in the UK, is a passionate brand and hospitality professional with international background. Swipe Right Experience was really founded over a decade ago when experiential marketing started and there was (and still is) a lack of understanding of how to unlock the power around this exploding medium of communication. Demonstrating 20 years of managing brands and award winning experiences with some of the worlds most recognised companies Swipe Right Experience works with passionate hospitality brands who are connecting with consumers for life.